It’s raining once again here in the usually sunny SoCal – we’ve had so much rain the past few weeks that I can’t believe it – and all I want to do is snuggle up under a blanket on the couch. While so many stores are pulling out all their Spring clothes, I’m like WAIT…it’s still winter!! Luckily I managed to find some cute winter clothes that are available and I had to share. First off, can we talk about this blush scarf?! I saw it and it was basically love at first sight! It would look so cute paired with this gray cardigan and these jeans. I also think this ivory coat is so beautiful. I’m picturing it paired with a dress and heels for a Valentine’s Day date night. 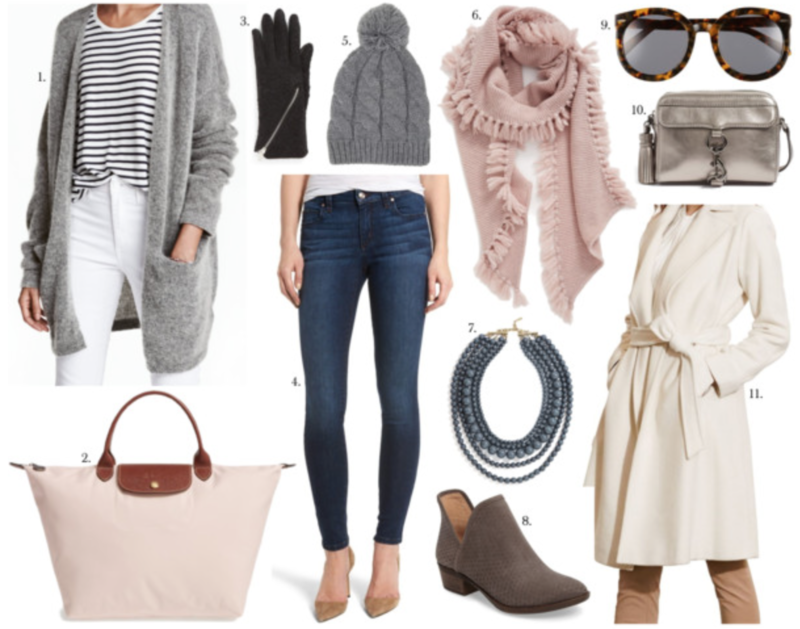 All of these pieces are more neutral colors so they can be styled to create many different looks! Which piece is your fave? !